With its sights set firmly on a fairer taxation system, the European Commission set out a series of initiatives in June to “tackle tax avoidance, secure sustainable revenues and strengthen the single market for business”. Designed to make the bloc’s byzantine tax system both more efficient and transparent, the Commission’s pipeline of reforms promises to confront the issue of profit shifting head-on, and hints also at a greater degree of harmonisation. 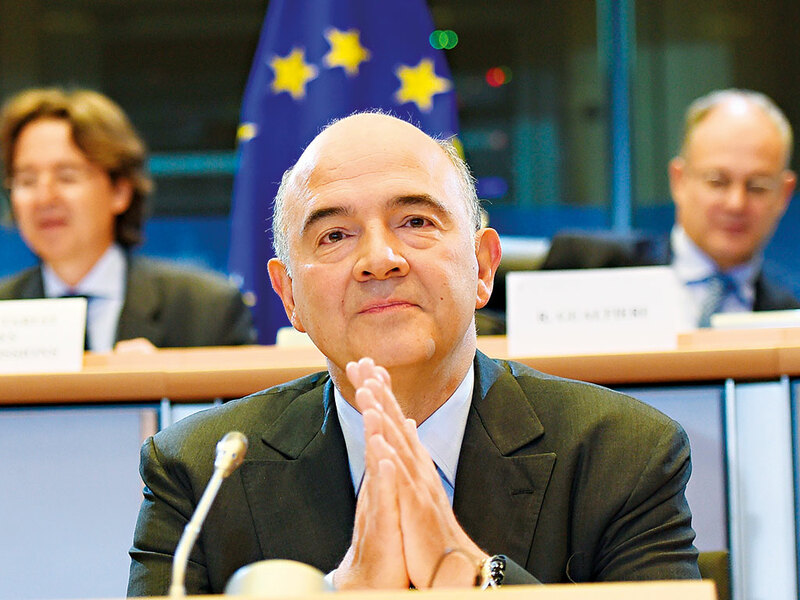 Speaking on the issue, Pierre Moscovici, Commissioner for Economic and Financial Affairs, Taxation and Customs, said: “Corporate taxation in the EU needs radical reform. In the interests of growth, competitiveness and fairness, member states need to pull together and everyone must pay their fair share.” Plans to re-launch the Common Consolidated Corporate Tax Base have taken centre stage, and so too have efforts to boost transparency, as the Commission made clear its ambitions to uproot tax evasion and fraud, and to do so by holding offenders to account. However, at no point in the plan did the Commission mention country-by-country reporting, and with the framework having gained considerable support recently, the issue was conspicuous by its absence. “Making country-by-country reporting public is crucial for the accountability of both multinationals and tax authorities”, according to Markus Meinzer, Senior Analyst for the Tax Justice Network, one of many lending their support to the framework. Suspicious that an overly aggressive crackdown could scare off investors, on whom the region’s development depends, critics have been quick to label the action plan one of half measures and minor concessions. True, to keep investors sweet, policymakers must ensure that they concede to the whims of multinationals to a certain extent, though they must also pay heed to the deficiencies plaguing the system. Country-by-country reporting allows governments to easily keep tabs on taxable earnings. The measure has enjoyed increased support recently, due largely to a changed economic climate wherein tax avoidance has been identified as a serious problem. With governments under a great deal of pressure to keep close tabs on spending, the focus has fallen on companies and on whether they’re contributing the appropriate amount to state coffers. “This pressure has included an increasing focus from investors, civil society organisations, the media and others for companies and individuals to be seen to be making their contribution to the public purse. For some, increased transparency around tax is seen as an essential part of the answer to help deal with these issues”, according to Andrew Packman, Tax Transparency and Total Tax Contribution Leader at PwC, writing in a report titled Tax Transparency and Country-by-Country Reporting. Important not only in levelling the playing field, but in keeping countries appropriately financed, corporate profits have been allowed to escape taxation far too easily in the past, and the measures in question could go some way towards making the escape more difficult. In short, a country-by-country reporting framework asks that all transnational companies submit the names of the countries in which they, as well as their subsidiaries, operate, as well as relevant performance and tax charges, and details concerning the cost and net book value of any fixed assets. Doing so means that the data is no longer obscured by regional and global reports, which give little to no insight into specific tax liabilities. Much of this information is known already to multinationals, though on an internal basis only. Making finances public on a country-by-country basis means loopholes are less easily exploited, leading to a fairer and more open system. Apart from making accounts more transparent, the system speaks to the idea that each country should have a legal right to information concerning how multinationals are (or should be) contributing to the whole. In this instance, introducing a system akin to country-by-country reporting would mean that governments are better equipped to clamp down on aggressive tax planning and profit sharing practices. Unshackled from the convoluted accounting frameworks of days past, in which relevant information was nigh-on impossible to extrapolate, a country-by-country reporting mechanism means that governments can more closely monitor corporate performance. Certainly, there are a number of practical considerations to take into account before the framework can be implemented. For one, reporting on country-specific activities requires some degree of standardisation, and what shape this template might take is as yet unclear. Also, some companies have expressed concerns about data protection, and any additional compliance costs could heap even greater pressures on parties for whom competitiveness is already a burdensome endeavour. However, the benefits of implementing such a system, at least as far as businesses, citizens, governments and investors are concerned, far outweigh the challenges. Going back to the now-infamous LuxLeaks scandal, the realisation that hundreds of companies were dabbling in creative tax strategies has underlined the need to more closely align geographic location with economic contribution. From this and a catalogue of similar incidents, the takeaway is that greater transparency is essential moving forwards. For as long as the twin issues of confidentiality and consistency stand in the way, multinationals will be reluctant to take up the framework. Still, with the pressure on companies building and transparency a major concern for governments worldwide, the framework is expected to come in, and soon, despite its absence from negotiations so far.